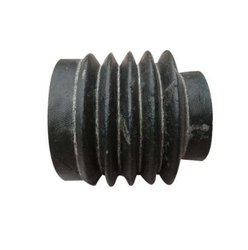 Manufacturer of a wide range of products which include roller cover leather bellows, foam leather bellows and leather bellows. Being one of the favored choices of our customers, we are involved in manufacturing, supplying and exporting Leather Bellows. For the manufacturing process, we make use of fine quality raw materials, which are procured from our reliable vendors. Roller guards are used in areas where no space for compression is present. We are manufacturing and exporting Foam Leather Bellows. 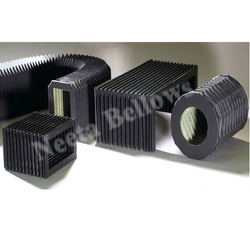 The offered bellows are made in a sophisticated manufacturing facility for ensuring dimensional accuracy. These bellows are used for covering metal parts of machines in textiles, leather, steel and cement industries for providing protection. Owing to our in-depth knowledge and vast experience in this domain, we have been able to offer premium quality Leather Bellows for Automotive Industry to our valuable customers. 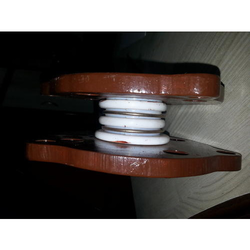 These bellows can be customized as per the requirements provided by the customers.